Remember when movies and music first collided? When films like 'Easy Rider' and 'The Harder They Come' had soundtracks people actually listened to? Could relate to? 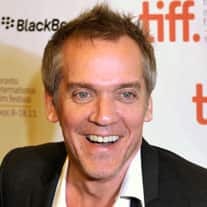 Jean-Marc Vallée does. Music is so important to him, it's practically a character in his films. Jean-Marc grew up in Montreal at a time when the city was exploding with social and political revolutions. A self-described shy kid, he dreamed of becoming a rock star, but was studying to become an accountant. During school, however, Jean-Marc took a film class, and became fascinated by movies such as 'Harold and Maude' and the possibilities of a new kind of storytelling: rebellious and filled with heart -- and music. His 2005 film 'C.R.A.Z.Y. ', a coming-of-age story set in the Montreal of his childhood and drenched in David Bowie songs, won 11 Genie Awards. His latest movie, 'Café de Flore' is playing at the Toronto International Film Festival. It uses Pink Floyd as a back drop to a love story that raises the heart-wrenching question: Is it possible to have two soul mates?